October Update - 1200 lb milestone reached | love bug foundation inc.
As awareness about our pet food assistance program continues to grow the amount of pet food we distribute each month increases. In September we hit a milestone of distributing more than 1000 lbs of food. 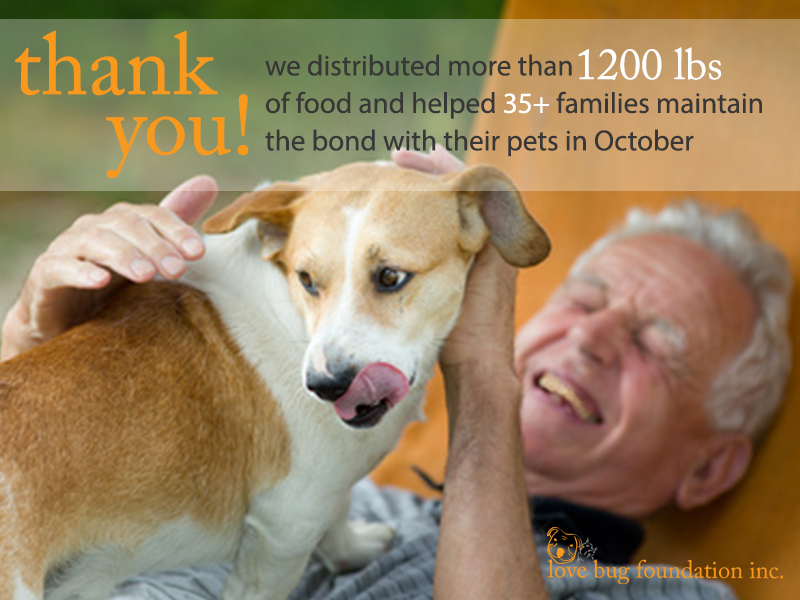 This month, we hit yet another milestone of distributing more than 1200 lbs of pet food to more 35 families in Clayton and Fayette. A huge thank you is in order for all of our supporters that have made this possible. Nearing the end of the month, there are a few key items we want to remind you about. 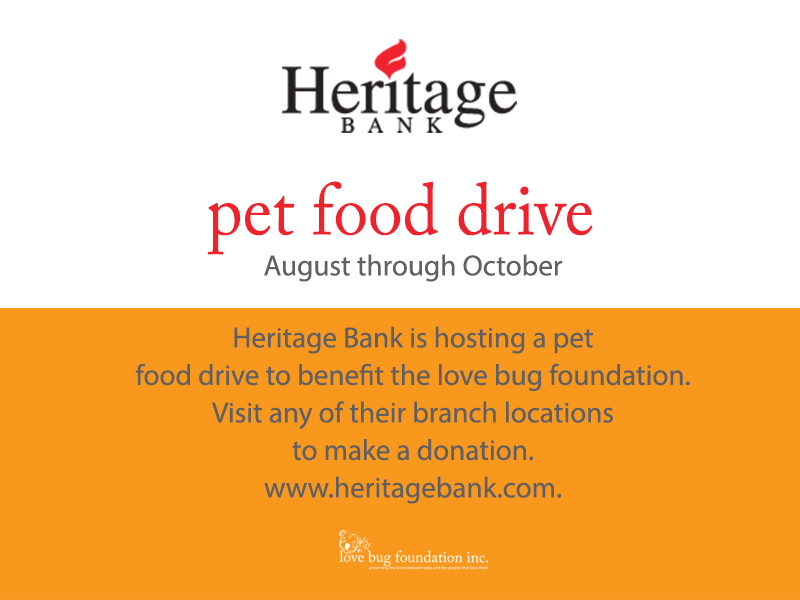 First, the pet food drive organized and sponsored by Heritage Bank will be drawing to a close towards the end of the month. If you haven't had a chance to stop by and drop of a bag of pet food please consider doing so. A list of their branch locations can be found here. Second, we have benefited greatly from the support of the Clayton County District Attorney's office selecting love bug foundation as a beneficiary of their community service program. 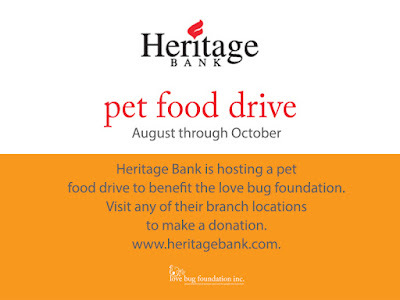 Thanks to their support we have been able to meet the growing demands of our pet food assistance program. The program will be drawing to a close at the end of this month and we cannot sufficiently express our gratitude for the support. With the end of the program comes the need to cover the donations we previously received through the community service program. Of the 1200 lbs of pet food approximately 1000 lbs are of dog food. We're working on a campaign to supplement current donations so be on the lookout for additional information. Finally, the deadline to apply for pet food assistance for the month of November is Friday, November 6. Again, thank you to everyone that makes our mission possible! Copyright 2015 love bug foundation, inc. All rights reserved. Powered by Blogger.